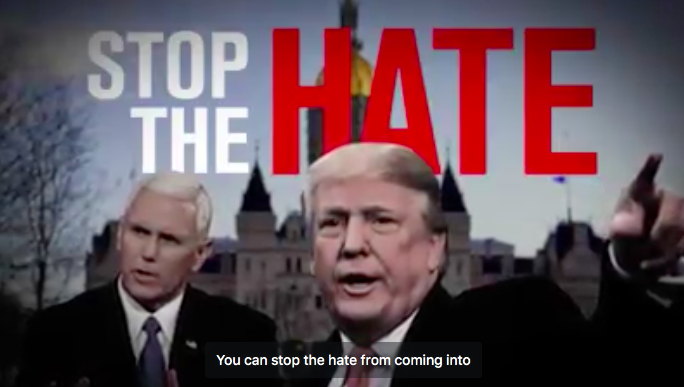 From a digital ad supporting the confirmation of Andrew J. McDonald. The sharply partisan fight over the confirmation of Andrew J. McDonald as chief justice of the Connecticut Supreme Court has morphed into an unprecedented, full-throated political campaign likely to escalate Thursday with the broadcast of television ads urging Senate Republicans to drop their opposition. True Justice, a lobbying group quickly organized by supporters of McDonald as Republicans signaled an intention to block the promotion of the openly gay and liberal associate justice, has reserved time on at least two Hartford television stations, Fox 61 and WFSB, Channel 3, and Fairfield County cable systems. The television campaign comes on the same day McDonald is scheduled to meet with Senate Republican leader Len Fasano of North Haven, whose caucus holds the key to McDonald’s confirmation in the evenly divided Senate. Fasano, who says he is leaning against confirmation, has been reaching out to newspaper editorial boards to explain his concerns. The House of Representatives has scheduled a vote for Monday, and House Majority Leader Matt Ritter, D-Hartford, said he is confident the chamber will approve McDonald’s nomination. The Senate is unlikely to act for at least a week, allowing McDonald’s supporters to lobby GOP senators as they continue reviewing McDonald’s judicial record and continue one-on-one meetings with the nominee. 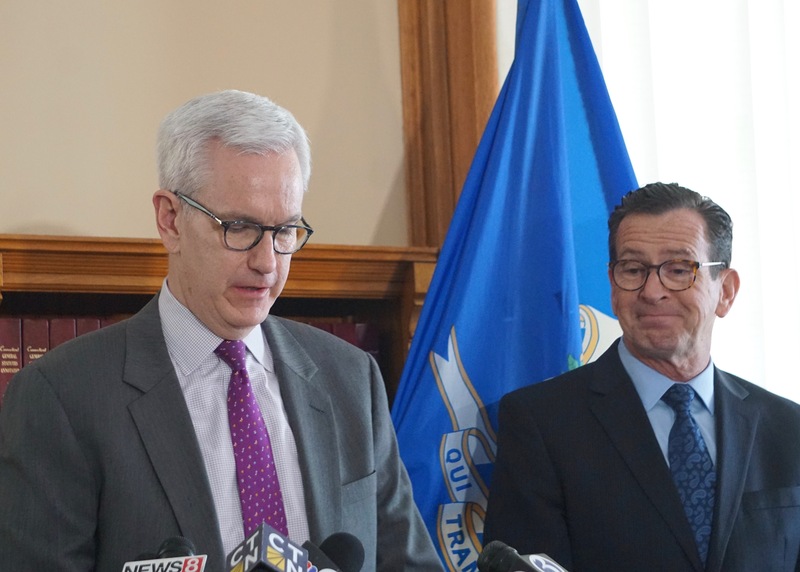 Connecticut has seen political fights over previous judicial nominations, but none matching the deepening conflict over McDonald, a Democrat who resigned from the state Senate in January 2011 to become the general counsel to his longtime friend and political ally, Gov. Dannel P. Malloy. The governor nominated him to the Supreme Court in 2013, when McDonald was confirmed by lopsided votes of 33-3 in the Senate and 125-20 in the House. 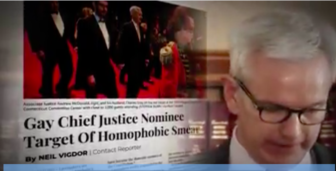 McDonald’s nomination as chief justice made him the target of an anonymous campaign of homophobic slurs on the internet, one that Fasano says in no way reflects the attitude of Republican lawmakers. Fasano said McDonald’s sexual orientation was not an issue when most Republicans voted for his confirmation five years ago, nor is it an issue today. True Justice, a group formed by a friend and former colleague, John F. Stafstrom Jr., upped the ante by registering as a lobbying interest and paying for digital ads and a mechanized, targeted phone-calling campaign directed at Republican senators. Stafstrom, a partner in Pullman and Comley, declined to say how much the group is spending or who is funding the campaign. Its spending eventually will have to be reported to the Office of State Ethics, as is the case with all lobbying expenditures. Zarella’s nomination by Gov. M. Jodi Rell in 2006 was derailed after former Chief Justice William J. Sullivan acknowledged delaying the release of a controversial court decision on public access to court documents in a bid to help the confirmation of Zarella, who had been a conservative ally on the court. Rell withdrew the nomination, and Zarella remained an associate justice for nearly a dozen years, retiring in December. McDonald was co-chair of the Judiciary Committee when the Zarella controversy unfolded. 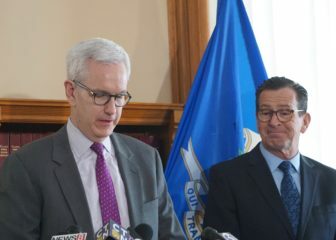 Stafstrom, the former chairman of the Democratic town committee of Bridgeport, said he had no regrets for introducing paid political advertising to the judicial confirmation process in Connecticut, calling it a reasonable response to the partisan approach by Republicans to the nomination of McDonald. Their digital ad, which is posted on a Facebook page, connects the Connecticut Republicans to President Trump. From the True Justice digital ad. Fasano said the ad itself is a smear on Republicans, implying their opposition is based on McDonald’s sexual orientation, not his record. It is similar to robo calls from True Justice to constituents of various Republican senators. They quickly connect constituents to their senators, if they respond to the automated directions. Stafstrom, whose law firm is a state contractor, declined to describe the television ads that will begin Thursday. According to documents the stations are required to file with the FCC on political ads, they will run for at least the next five days. True Justice is not the only group organizing support for McDonald. Members of the bar have defended McDonald’s refusal to recuse himself in the death penalty and Slossberg cases, writing op-ed pieces and letters. A gun-control group, Connecticut Against Gun Violence, urged its members in an email blast Wednesday to contact their lawmakers. “In a sharp break from the tradition of assessing the fitness of a nominee based just on his or her legal credentials, a group of conservative lawmakers oppose McDonald’s appointment because some of his past decisions do not align with their political views,” Jeremy Stein, the group’s executive director, wrote. Sen. Heather Somers, R-Groton, who met this week with McDonald, said she has been contacted by constituents, including lawyers, supporting McDonald, using nearly identical emails, as well as some that were individually written. She also has been contacted by people in the judicial system opposed to the nomination, including someone who appeared to be a state prosecutor. Sen. Eric Berthel, R-Watertown, a member of the Judiciary Committee who interrupted his attendance at a conference in Washington, D.C., to fly back to Hartford last week to vote against McDonald, said calls from his constituents about McDonald’s nomination were evenly divided. Fasano urged him to return in time to vote, but Berthel said the GOP leader did not suggest how to vote. “Len Fasano was more concerned about me missing an important vote, rather than the direction of the vote,” Berthel said. Berthel said he is planning to meet with McDonald. 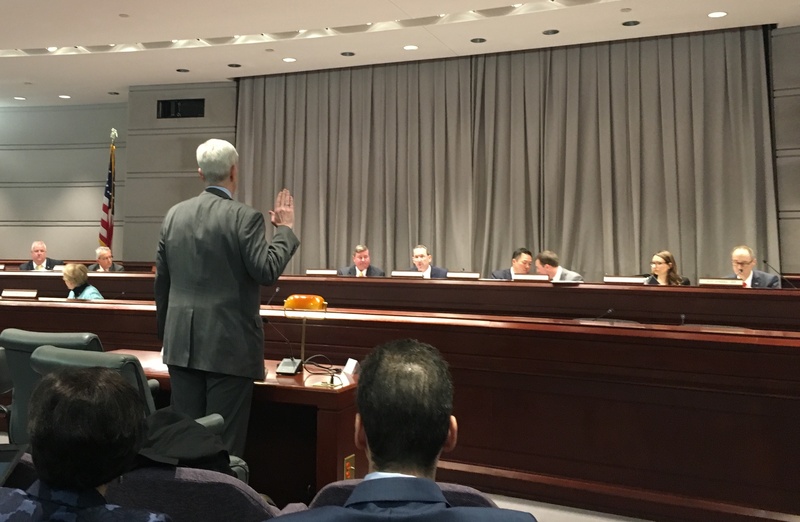 Fasano said Republicans have legitimate concerns about whether McDonald should have recused himself from voting as a justice on a legal challenge to a portion of a death-penalty law that Malloy signed while McDonald was his counsel. Justice Andrew McDonald is sworn in before testifying on his nomination. The law repealed the death penalty for future crimes, leaving in place the death sentences previously imposed on 11 men on death row. The Supreme Court set aside those sentences, rather than striking down the entire law as unconstitutional. The day after the confirmation hearing, Sen. Gayle Slossberg, D-Milford, said she would recuse herself from voting on McDonald’s confirmation, giving Republicans an 18-17 majority on the issue. Her husband, David Slossberg, had tried to force McDonald to recuse himself on an appeal of a class-action case in which Slossberg’s clients prevailed at trial. The Slossbergs each filed affidavits in 2014 claiming McDonald was biased because of David Slossberg’s representation several years earlier of a client sued by McDonald’s husband, Charles Gray. McDonald declined to recuse himself and was part of a unanimous decision that went against Slossberg’s clients in the class action. But she voted for his confirmation the following year. 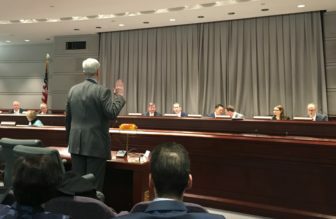 After a record-setting 12-hour examination of McDonald at a confirmation hearing by the legislature’s Judiciary Committee 10 days ago, a motion to recommend confirmation failed on a 20-20 vote, with 19 Republicans and one Democrat, Rep. Minnie Gonzalez of Hartford, opposing McDonald and 20 Democrats supporting him. The tie vote placed his confirmation before the House and Senate with an unfavorable recommendation, requiring a two-step process in each chamber if McDonald is be confirmed. Before a debate and vote on his confirmation, each chamber must vote on a non-debatable motion to reject the unfavorable report. That means the Senate Republicans could kill the nomination without a debate, simply by defeating the motion to reject the Judiciary Committee’s report. It would be an anticlimactic ending.